I love your button story! My husband always wonders how I can spend so much time at a sewing machine and yet never do any darning or patching of holes in pants. I have a stack about 3′ tall of jeans and other pants with holes in the knees (a side effect of crawling/running around with two kids). I’d much rather work on my quilts and other sewing projects than patch pants, though! I don’t even think I know where to begin with darning! Great to meet you! We have the same problem here! I have pants I have needed to hem for (I really hate to admit this because they are my own pants) years. When I have a few spare minutes to sew, I’d rather not do practical things. 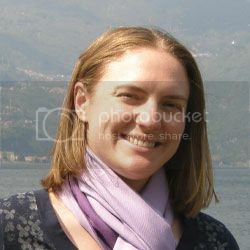 Hi Heather, it is great to get to know you better! I like your tip about labeling your solids; it is something that I haven’t done as good a job with myself recently. So glad to have met you through the blog hop and I look forward to seeing what you create in the future! I love your brown and blue quilt, and your advice for labeling solids. I would also add scraps. I have Kona White and Kona Snow. It is harder to tell them apart in little pieces. Great point about labeling the scraps too – looking at my scrap bin right now I would have no chance of telling you which colors were which. 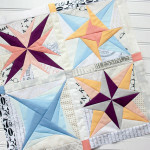 I love your work, especially the Spinnaker quilt – great colour scheme. What an exciting life you’ve led so far, even if you don’t ever get to do those dream vacation trips. Thank you so much! The spinnaker quilt is probably one of my simplest quilts, but one of my favorites. 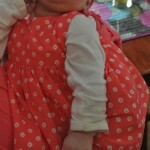 Visiting from the New Quilt Bloggers Hop, thanks for sharing your quilts! I love chocolate and doughnuts, and especially chocolate doughnuts, LOL!! I’m glad to see another Carolina girl! Although, I’m jealous because you are in my favorite part of the state. We try to head that way whenever we can, visiting different parts of the mountains every time until we find the perfect spot! Hi Heather. I’m pleased to see you put New Zealand on your wish list of holiday destinations. The Lord of the Rings movies have shown many people what a lovely country this is. Swapping life in the army for quilting must have been a big change. I know some people from Iraq, and when the see me quilting they tell me about the quilts they had in Iraq. They sewed two layers of fabric together with no batting and used the quilts in the summer when they slept out on the roof because it was too hot to sleep indoors. 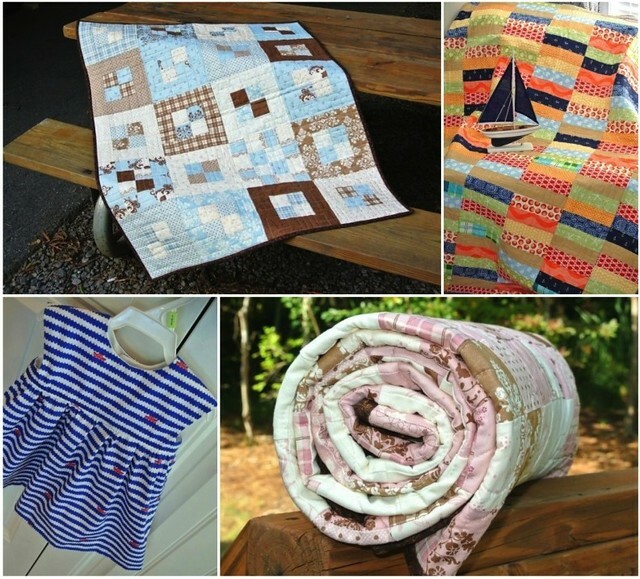 Thank you for sharing your quilts. I was fortunate enough to visit New Zealand once a few years ago, and I loved it so much that I really hope to return someday! It was such a wonderful vacation, and I’m jealous that you get to live there. Some of the garment sewing blogs I follow are there and (from my distance) it seems like Wellington has such a vibrant sewing community. That is so interesting that they use quilts in Iraq as well. I never really saw it at ground level, but I love how quilts are all over the world in different forms. Thank you for your service to our country! I am also a chocolate addict! It is a great little treat to have along side quilting! 🙂 Your quilts are beautiful! What part of Texas did you live in? I am from the DFW area. We just moved to Colorado and I am loving the weather change! It is great to meet you! Thank you for the wonderful compliments! I lived right outside Ft. Hood. I enjoyed my time in Texas for the most part, but our last summer there we had temperatures above 100 for more than 3 months straight. That was brutal! I only made it to the DFW area a few times, but always enjoyed my visits. Thanks for sharing! I liked your point about labeling solids, something I’m guilty of (lets hope I don’t run out at an inopportune time!). Hey, Heather! 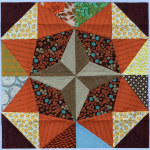 Love all of your quilts, especially liking the colors and pattern of Pandora’s Box! I kind of liked your other name, it was intriguing 🙂 I can see however that it would put some off . . . I used to like my name too, but I think too many people thought it was odd. Now I’m more like everyone else for better or worse! Best of luck starting labeling! I have to learn the lesson over and over, and just made the mistake of buying some knits without remembering to write down the fiber content…. the never-ending lesson continues! Bill Bryson books are hilarious! He makes me laugh until I snort tea. I have his grammar books and his travel books and his history books. I think I love the UK and Australia ones particularly because I am most familiar with those two countries and know what he is talking about. His ability to poke fun while still obviously showing his affection for a place is why I like him. His humour is not disparaging. Obviously a brilliant guy. The last two did give the career away! I sometimes think I will only buy one brand of white solid fabric to avoid the problem you mention, but they never have it in stock when I go back so I end up with something else and the problem continues. Hi Heather, great blog post! I really like your tip about labeling your solids. I’ve labeled my various interfacing, keeping each in their own ziplock bag with instructions, but I need to get better about my solids. Not that I have that many, but I’m sure I’ll run into problems eventually. Luckily, the only white fabric I’ve purchase has been Kona White and Kona Bone. Easy to tell them apart but should still label them in case. Thanks! Great idea about putting interfacing with the instructions in separate ziploc bags! I am totally going to attempt to steal that idea… hopefully I can find enough instructions to put it into practice. Nice projects and great tips! Nice to meet you Heather! Great intro post! I did see your old blog name somewhere once and thought it seemed like an odd combination. Makes more sense now that I know the story behind it, though. Labeling solids is a great idea. I don’t have many yet, and I won those and they came with no info whatsoever, so I don’t even know what brand they are. I guess I’ll have to start labeling when I actually buy some for myself! Great advice for bloggers and for labeling your material. I too am running into the problem of not knowing what is what- I’m trying to cut a square and paste it into a journal of sorts, but I’m so lazy I often forget to. Hi Heather, nice to meet you! Thanks for the tip on labeling solids and interfacing. I don’t even have that much in my stash, and I’m already getting mixed up. Better start labeling now! I also enjoy Bill Bryson books, I find him very amusing. I would love to go on all of your dream vacations, but there just never seems to be enough time or money 🙂 I need a cool job, maybe like Bill Bryson, so I can go on more trips! I just started labeling my solids after encountering the same issues! That’s funny about a scary blog title, I was guilty of being scared away until I read your profile then it made sense 🙂 I have followed you since that ah,ha moment! Grew up in Oregon! Go Ducks! I am also from Oregon but now live in NH. Do you miss it? I liked Bobbins and Bullets (my husband liked it as he collects antique rifles and other things) but I understand why you changed it. After an incident where Kona Snow got mixed in with the white (which isn’t obvious when you’re grabbing from the scrap drawer), I now label all my solid scraps in ziploc baggies. I love it when fabric arrives from shops all labeled and ready to go. Great intro post!